Making qualified charitable distributions from an IRA. When you make a donation, to a qualified charitable organization, of assets that, if you sold them, would qualify for a long-term capital gain, you (in most cases) not only get to claim a deduction for the fair market value of the assets, you also get to avoid paying tax on the capital gain. The benefit here is straightforward: Because you get to completely avoid paying tax on the gain, using long-term-capital-gain assets for charitable contributions typically makes more sense than using such assets to pay for living expenses (and paying tax on the gains when you liquidate them) and using other assets to fund charitable contributions. In addition to the age restriction — you must be 70.5 or older — there is a limitation in that the exclusion from gross income is limited to $100,000 per year. The big benefit here relative to simply writing a check to the charity of your choosing is that you get to use the full pre-tax value of the IRA assets for your donation. You can take advantage of this tax break even if you use the standard deduction. A final benefit is that qualified charitable distributions can count toward your RMD for the year. How Bad Does a 401(k) Have to Be Before It Makes Sense to Skip It? Your current and future marginal tax rates. If your employer offers a matching contribution, that weighs very heavily in favor of contributing to the 401(k) — though perhaps contributing no more than necessary in order to get the maximum match offered — even if the investment options are very poor. It takes many years of subpar investment performance to overwhelm a risk-free 100% return right off the bat. If there is no matching contribution being offered (or you have already gotten the maximum match), then it’s time to consider what you would be doing with this money if you don’t put it into your 401(k). Do you have any high-interest debt to pay down? Can you contribute the money to an IRA, or have you already maxed out IRA contributions for the year? Is there available room for contributions in your spouse’s retirement plan at work? And if so, are the investment options in that plan better than the options in your plan? If any of the three options above are available to you, it’s often a good idea take advantage of them rather than investing in an especially crummy 401(k). If none of those options are available, however, the decision typically comes down to contributing to the high-cost 401(k) as opposed to investing in low-cost funds in a taxable brokerage account. If that’s the case, there are two more factors to consider. How Long Will You Work There? The reason high-cost mutual funds are so undesirable is that they typically lead to a lower rate of compounding for your savings, which, over a long period of time, causes you to accumulate a much smaller sum than you would otherwise accumulate. But the expense ratios of the funds in your 401(k) are only relevant for as long as you have the money in the plan. And once you leave your job, you can roll your 401(k) assets into an IRA, where you can choose low-cost funds. In other words, you’ll only have to pay the high costs of the funds in your 401(k) for as long as you’re with the employer in question. As a result, if you anticipate leaving the employer within the next several years, even an absurdly high expense ratio is likely to be overwhelmed by the tax savings you get from investing in a tax-sheltered account. But what if there is no employer match, you have nothing else especially attractive to do with the money (such as pay down high-interest debt), and you expect to stay with your employer for many years? Then does it make sense to invest in a taxable brokerage account rather than contribute to a 401(k) with high-cost funds? 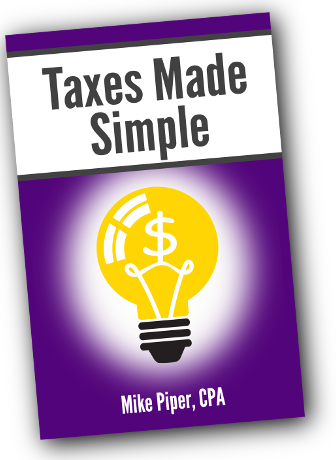 The additional taxes you would have to pay because your money is in a taxable account rather than a tax-sheltered account. Unfortunately, this is one of those things that’s not so much a simple math problem as it is a set of several guesses, which you can then use to do a math problem if you so choose. 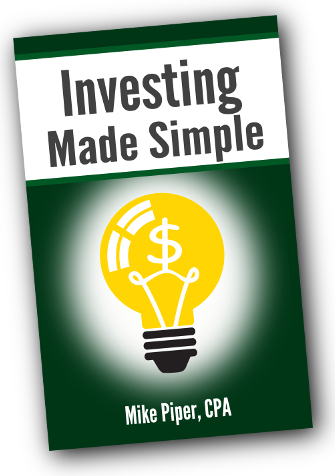 But, generally speaking, the lower your current tax rate (for ordinary income), the lower the tax rate you expect to pay on qualified dividends and long-term capital gains, the higher the costs of the funds in the 401(k), and the longer you expect to be with your employer, the more likely it is that the taxable brokerage account makes sense. 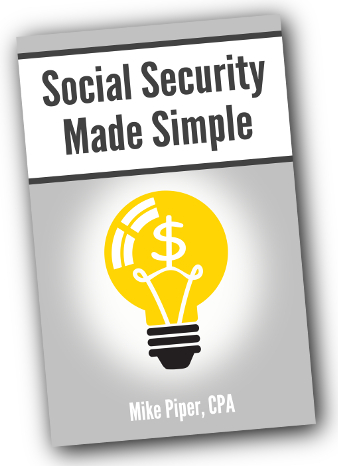 Intentionally Increasing Income to Increase Social Security Benefits? Over the last month or so, I’ve received a handful of questions like this — people wondering about realizing capital gains or doing a Roth conversion in order to increase their Social Security benefits. To be as clear as possible: This doesn’t work. Neither capital gains nor income from a Roth conversion is included in the calculation of your “average indexed monthly earnings” upon which your Social Security retirement benefit is based. Deemed wages if you were interned in the U.S. during World War II. In other words, Roth conversions, other distributions from tax-deferred accounts, capital gains, dividends, and interest are all excluded from this calculation. Or said yet another way, there’s nothing you can do with your portfolio that would increase your earnings for the purpose of calculating your Social Security retirement benefit.